The theme for this round is about Happiness. It is a very helpful to learn about since it is related to our life. In our life, happiness is the most important thing, without happiness your life won’t be meaningful. We did a lot of reading in class on CommonLit which help us to understand a lot about happiness before getting to write our own essay about happiness in a life-circumstance or situation of our own choice. Learning about this theme helps me a lot including lives and specially myself. When we have a better understanding of ourselves, we are able to experience ourselves as unique and separate individuals. We are then empowered to make changes and to build on our areas of strength as well as identify areas where we would like to make improvements. Happiness is not only that huge smile on your face. It’s a sense of being, a conscious choice on how to live your life. To me, happiness is the thing that helps me to become the best version of myself. Throughout the process of learning this theme, it inspired me to write a Found poem about Happiness. Suffer now and live the rest of your life as a champain. This poem was inspired by my English Literacy teacher, Hannah. When I felt stuck in my life or feeling like I am in a hole, I usually find someone to talk with. Because I was facing too many problems at the same time, so it made me felt stuck and couldn’t do anything beside crying. I said “my teachers would be the second best choice to help me after praying”. I talked to her and she gave me a lot of advices like “facing problems will always be a part of life, but it’s how you face those problems that is key. I believe that I don’t have to face problems alone. I have God fighting for me. He doesn’t want me to carry the heavy load”. From all of her words, it just change the whole me, from a little frog with mud to a shining frog with love. A special property of acids and bases is their ability to neutralize the other’s properties. An acid is an ionic compound that produces positive hydrogen ions (H+) when dissolved in water. A base is an ionic compound that produces negative hydroxide ions (OH-) when dissolved in water. To get a better understanding of what Acid and Base are, we did the experiment call the Acid and Base Test. Lemon juice, Vinegar, Sprite, Water, Toothpaste and water solution, Baking soda and water solution, Bleach. Lemon juice with the indicator: The lemon juice being the most acidic of the lot changes to a bright red color. Sprite with the indicator: The color changes to a very light pick. Water with the indicator: Because water is neutral so the color with turn into the red cabbage color. Toothpaste and water solution with the indicator: The color change to a very very light pink. Bleach with the indicator: It goes back the bleach’s color. Why when you put the sprite into the toothpaste and the color turn to the color of the indicator? This is because they both are neutralize that’s why the color turning to the color of the red cabbage. Paying attention to the experiment is really important because it helps you to understand more clearly about Acid and Base. Outdoor Leadership is an exploration that enhances both Outdoor and Leadership skills. The main goal is to get us more comfortable in nature and learn how to adapt ourselves in an unfamiliar environment and situations. Throughout this exploration I’ve learn a lot things including different skill of survival without modern technology or infrastructure. 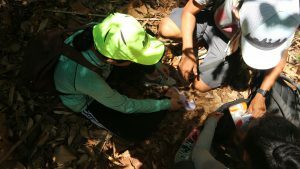 One of the main thing is learning what does nature mean to us and the importances as a Cambodian youth. Learning how to help others is one of the most important thing in this exploration. Volunteering your time or energy to help others doesn’t just make the world better, but it also makes you better. When you help others, it makes the people that you are helping feel proud and they might say “You are a really helpful kid and I am proud of you”. I am sure that this phrase will make you happy, so helping others also help yourself. It benefits you a lot because you get both, the happiness and you get to know how to cook a food that you never know before. 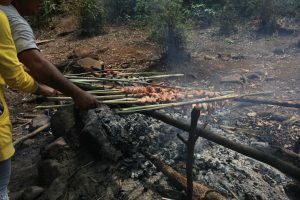 I observed that everyone in this exploration were doing a really great job on helping others people especially, helping our tour guide to get the good done. All of this hard works and team buildings have made us a really supercalifragilisticexpialidocious Lunch and it has been the best memory of all the time. While trekking, it is really important to observe the natures around you because you might see something that you never seen before. I saw a lot of big trees that are hundred and hundred of years, I saw different types of insects and animals, I saw the marvelous view of nature in the Kingdom of Cambodia, and etc… From observing nature, I also learn about the environment in my country, for examples, did people cut down a lot of trees, if so, how do I change or solve this problem in the future. Before this trip happened, I never know that in Cambodia, there is this gorgeous waterfall. This waterfall is call “Leng Trock” and it is among the most beautiful waterfall in Cambodia. 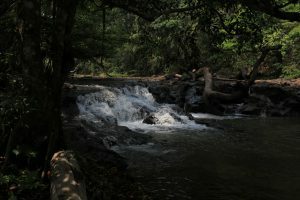 Water play an important role in the waterfall, without it the waterfall won’t be beautiful. From this exploration, I’ve learned that water is really important for our lives. As nature’s most important nutrient, people need water to survive. Water helps to transport oxygen, minerals, nutrients and waste products to and from the cells. Without water, we won’t have a wonderful trip. I am so grateful to be one of a Cambodian child and thank you so much nature for providing human this beautiful place and resources that help thousand of lives meaningful. Wildlife plays an important role in balancing the environment and provides stability to different natural processes of nature. I’ve learn that wild animals can inspire people to lead a sustainable lifestyle. They can invoke feelings of sympathy and compassion, causing people to be conscious of the damaging effects of their lifestyles. Every animals are very gentle if we are nice to them. 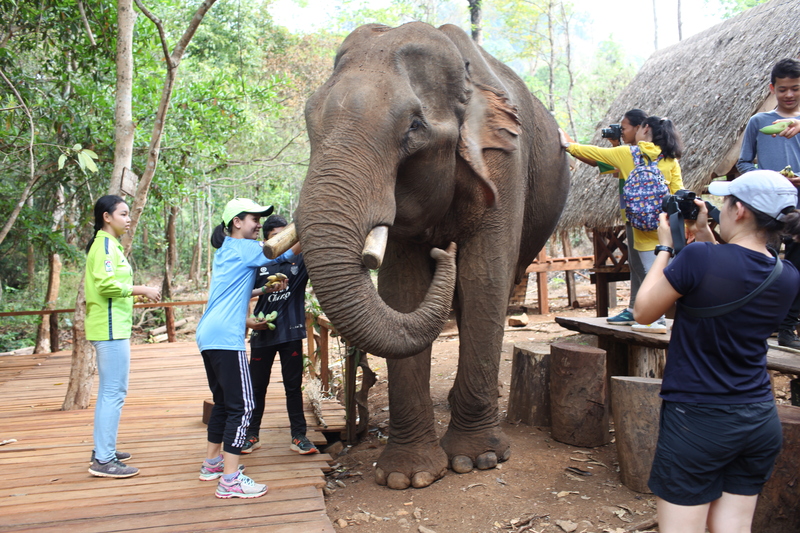 Getting to see an elephant was one of my goal before going out on this spectacular trip. 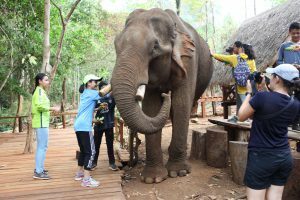 As what I observed and asking the tour guide questions about elephants, I think that Elephants are among the most intelligent of the creatures with whom we share the planet, with complex consciousnesses that are capable of strong emotions. 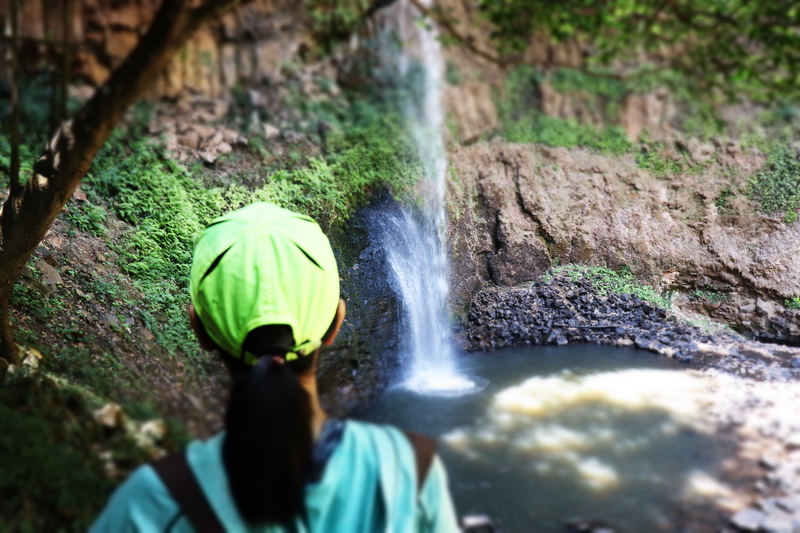 Before seeing the elephants and the beautiful waterfall, I went through a lot of tiring feelings and exhaustion. This is because I didn’t drink enough water. 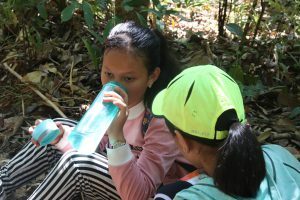 Learning how to drink a lot of water while trekking is really important, but while trekking, you don’t want to drink liters of water at a time instead, you drink water one by one, but lots of time. Learning how to be brave is also important because it might cause you to the serious problem. You need to be brave at telling people or your adults that you are not feeling good now and you feel like you are dehydrated. By telling them, you can feel better because they know what to do to make you feel better. Last but not least, I want to improve myself on my braveness. When I did a lot of trekking in Mondulkiri, the blister is somehow got on my foot. I knew that I got blister and it is hurtful, but I kept walking by not telling any adult or anybody. Because it was getting more hurtful, so I decided to tell one of the adult. Choosing to continue walking while having a blister is not a good choice because it might become a serious problem. So later, I should be braver at telling others people that I got blister or any problem while trekking. It has been an amazing round learning about percentages and angles. I love learning percentages since I was in grade 4 because in my perspective, it is easy to understand and a very handy way of writing fractions. Percentage can be compared more easily than fractions, and it is short and easy to remember because the number of percentages are mostly used from 1 to 100, so you don’t have to remember a lot of numbers. Percentages are also useful in the way that we use to look at the increasing and decreasing. For an example: if we want to look at how many people have died due to the traffic accident between 2016 and 2017, the only way that is easy for us to know is looking at the percentage. If it says “From 2016 and 2017, the number of people that died due to the traffic accident has increased by 10%”, so by looking at that percentage, we know that it does not decrease that much. Percentages are now over and heads up to Angles. Learning angles is a little hard for me because I am not really good at it, but I told myself that “you are going to be an Angles master one day”. I know that I am not good at it, so I try to work on both the exercises about angles in the book and on Khan Academy. Doing exercises more and more help me a lot with Angles, so now I am pretty good at it. In geometry, an Angle is a place where two lines intersect and the until of an angle is degree. There are many types of angles that we name in mathematics and I will define them below. Vertically opposite: is an angle opposite each other when two lines cross and they are always equal. Supplementary: is an angle that make a straight line and measures add up to 180 degrees. The Python programming language is of the way that we use to solve a computer problem almost as easy as writing out your thoughts about the solution. The code can be written once and run on almost any computer without needing to change the program. Throughout this round, I’ve learned a lot about python including Booleans, Comparisons, If statement, Elif statement, Else statement, For loop, Break statement, Continue statement, Range function, and Python while loop. An if statement is a programming conditional statement that, if proved true, performs a function or displays information. The elif is a statement that allows us to check multiple expressions for TRUE and execute a block of code as soon as one of the conditions evaluates to TRUE. An else statement contains the block of code that executes if the conditional expression in the if statement resolves to 0 or a FALSE value. It is a statement that we use to stop the loop even if the loop is still true. Meaning that the continue statement is used to skip the rest of the code inside a loop for the current iteration only and continues with the next iteration of the loop. We use the range function to generate sequences of numbers in the form of a list. The theme for this round is the search for Identity. The first thing that we always did in class is to say positively affirmation because by saying positive affirmations you can change your thought process. Related to this theme, we also did something called the Where I’m from. I wrote a poem about myself inspired by George Ella Lyon. George Ella Lyon. George Ella Lyon comes from the mountains of Kentucky. She started writing poems on her own in third grade, plus she took piano and voice lessons and played flute in the junior band. She has published a lot of things, including picture books, poetry, juvenile novels, and articles. She wrote a very beautiful poem called “When I’m from”. This poem contains lots and lots of similes and metaphors that make the readers really enjoy reading it and all of the stanzas are really powerful and meaningful. In the second stanza that says “I’m from the know-it-all and the pass-it-ons, from Perk up! and Pipe down!” can conclude that she refers to the school and the “I’m from the know-it-all” could define her as a person who knows everything and nothing that she doesn’t know when she was in school. Moreover, the childhood memory about the dirt under the back porch at her house and tasted like beets, also defined who she is when she was young that she liked to taste everything. By reading her poem, it inspires me to write my own poem. Thank you my lovely teacher, Hannah who find me the sources of her poem, exercises that makes me a good poem writer, and choose this type of lesson to teach me. I am from the place that tells the story of who I am and a collection of what I love, brought together under one roof. This round we have been focusing on Carbon. Carbon is a very important and special element because every living thing is made out of carbon. If there isn’t any carbon there won’t be life on earth. Carbon is present in the atmosphere as the gas carbon dioxide (co2), which make up approximately 0.04% of the atmosphere. Related to that we also studied about the carbon cycle. Carbon is a virtually important molecule in the carbon cycle. The global moment of carbon between the abiotic environment, including the atmosphere and ocean and organisms, is known as the carbon cycle. The carbon cycle is what makes up life. Now I’ll you more about it. Carbon dioxide are from animal respiration, plant respiration, combustion, and Auto and factory emissions. Where does it go?. They go up to the atmosphere. How does it cycle? 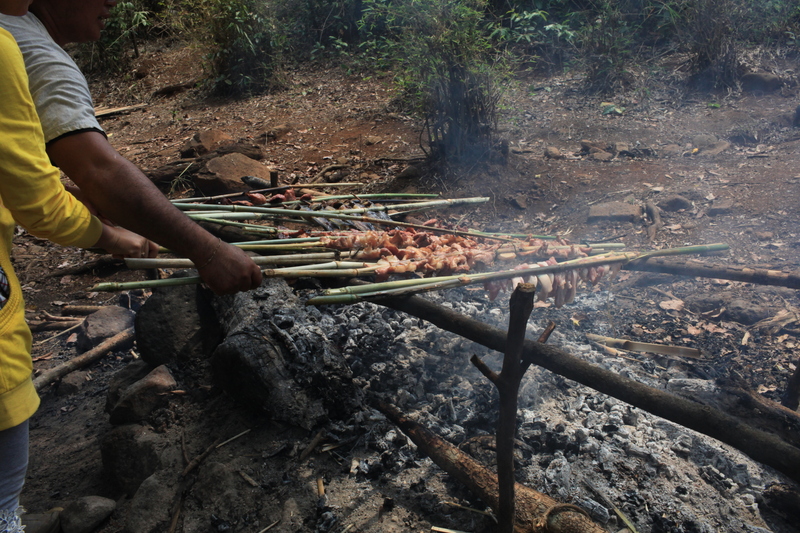 Trees are the one who takes carbon dioxide and use it to make food. They absorbed carbon dioxide through photosynthesis. Animals then eat the food and carbon is stored in their bodies or released as CO2 through respiration. After trees eat the carbon dioxide then they will also release back the oxygen, which is what we use to breathe. We, human use oxygen to breathe and release back some carbon dioxide through farting. 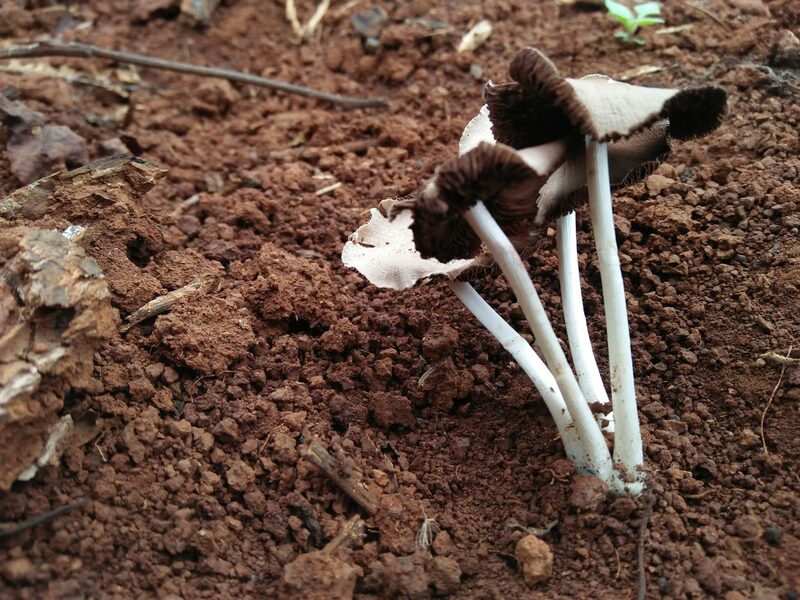 Decomposer also plays an important role in the carbon cycle. It breaks down the dead organisms and returns the carbon in their bodies to the atmosphere as carbon dioxide by respiration. If there isn’t any decomposer, there will be less carbon dioxide added to the atmosphere and there would be less carbon dioxide for plants to take in for photosynthesis. During the combustion of fossil fuel carbon is returned to the atmosphere as carbon dioxide. These are what I know about the carbon cycle. We also did one experiment related to carbon. It is called the Black Snake experiment. The sugar needs something hot like fire to break down itself and I think sugar also need oxygen to break down itself. When oxygen is used, carbon dioxide and water vapor is released. The baking soda also reacts with heat, so when the fire heat it, it produces the solid sodium carbonate that’s why it makes the snake looks solid. Because my teacher told me that, Carbon dioxide is black, so carbon dioxide is what makes the snake black. Altogether, these three reactions produce the solid components of the snake, color of the snake and hot gasses that expand the BLACKSNAKE!! This round we’ve been focusing on decimal. I am so happy learning about this topic even though I am not that master at it. The decimal point is the most important part of a Decimal number. I’ve been learning how to multiply, substract, add, and divide the decimals by both whole number and the decimal itself. As long as you pay attention to your teachers while they are explaining, it won’t be hard to do. Sometimes there are lessons that you are good at and there are lessons that you are not good at, but if you just try hard a little bit, everything will be possible I promise. I first found it really hard to divide, substract, add, and multiply the decimals by decimals, but I found it easy after spending ten to twenty minutes every day learning about this lesson and I finally pretty good at it. Now, heads back to the lesson that I learned. If you multiply any decimal number with 10, the strategy to solve this problem is to just move the point (.) one place to the right. The same thing with 100, the only difference is that, if there are two zeros in the 100 like that, you just have to move the (.) two places to the right. Note: you just have to count the zero and move the decimal point (.) as the number of the zeros. Dividing decimal is not that different from multiplying decimal. The only thing is that is different is that, if you divide any number (without a decimal point) with 10, you just have to move the point (.) one place to the left. This is the formula that helps me every time I get stuck. Math may not teach me how to add love or subtract hate, but it gives me hope that every problem has a solution. When I was young I lived upon my mother’s milk as I couldn’t eat grass and on my father’s shoulder as I couldn’t walk. Until the day that I began to walk, the name Ena is everywhere in my ears, so I started to realized that my name is Ena. As soon as I was old enough to understand things I started to know my full name, Ena Im. 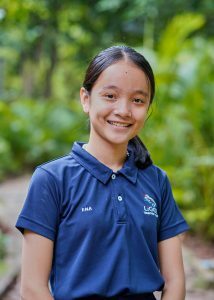 My name, Ena Im is a pretty short name that has no meaning in both Khmer and English. After watching, seeing, noticing, and deserving how good Ena is by her action in the Filipino movie called The Promise, my parents started to like Ena so much that they wanted their daughter to have the same character like her, so her name has chosen to be my name. Now I have my name, but the feeling that I want to change is everywhere in mind when I go to school hearing other student’s names. I felt like my name is too short and has no meaning while others have. Ena Im is too short for me, I wanted another name like Mony Sereyroth, a name that has a beautiful meaning, peaceful and beautiful sunflowers. Even though I had a feeling that I don’t like my name, but I also thought of something positive about my name. If I think about it positively, I would say “it doesn’t matter whether it is short or long, and meaningful or meaningless, the only thing that matters is whether I am a good person or not.” But still, it has no meaning. On January 12th, 2019 is the day that I realized the meaning of my name. Ena was my parent’s favorite character’s name and now it is mine. Ena was a child of God just like me who was born as a child of God. She lived in a poor family, but she tried hard in her studying until she became a successful businesswoman. She went through a lot of challenges before becoming a successful businesswoman and having an infinite love that no one could break them apart. The love between her and Angelo would never end even though Angelo’s family doesn’t like a poor person like Ena. She loved Angelo by her heart and not by seeing Angelo as a rich man. The way that she tried to share everything that she has to other people on the island, make my parents like her more and more. Her sweetness, faithful, ambitious and compassionate convince and persuade my parents to name me, Ena Im. I would like to baptize myself again so that I can have positive thinking about my name. The quote that says “Don’t judge the book by its cover” now come to me. I always remind my friends about this quote when they forgot it, but now it is my turn to remember this quote and let my friend remind me back because I don’t want to judge other things specially my name ever again. I would never forget my parents advises about Ena experiences and behavior. The road to success of my life will be open for me as long as I take Ena’s behaviors as the model. An ionic bond is the force of attraction that holds together positively charged ions. It forms when atoms of a metallic element give up electrons to atoms of a nonmetallic element. Metals “want” to give up electrons, and nonmetals “want” to gain electrons. Ionic bonds are really strong. Ionic compounds form crystals instead of molecules. Ionic bonds are strong and the crystals are rigid. As a result, ionic compounds are brittle solids with high melting and boiling points. Covalent bond is when two elements share the electrons with each other.They share electron to form molecule, and two of the electron is called double bond. Note: They only share when they need to be share, and not always the same elements can share, but different elements can also be share. Metals mean anything that are hard or conductive, they don’t really melt in a room temperature, but they will be melt in when the temperature is 800°c or 100°c. Metal observe the heat very fast and it conducts strong heat, too. A Metallic bond is a sharing of electrons between many atoms of a metal element. These are what I know about chemical bonding based on what my teacher have taught me and some of my own research. Did you know that Hydrogen bond is the weakest?. I know the answer, that is because they are easily and rapidly formed and then broken under normal biological condition. My name is Ena Im. I am thirteen years old. I study at the Liger Leadership Academy school. I was born in Tboung Khmum province in Cambodia. I currently live and learn at Liger Leadership Academy, a scholarship-based educational institution for promising youth. My free time is often devoted to reading. When I got stress or when people made me feel bad, I always run to my bed and read the Holy Bible. Sometimes I did that and sometimes I read some inspiring quotes that I have written in my private book. I am passionate at designing and inventing something new that will help my country to be better and peaceful. I will change people mind from thinking that “Girls cannot do anything to make the country develop or better” to think of “Girl can change her country or even the world to be better and peaceable”. The biggest dream of my whole life is to be successful and I will use my happiness to define my success.